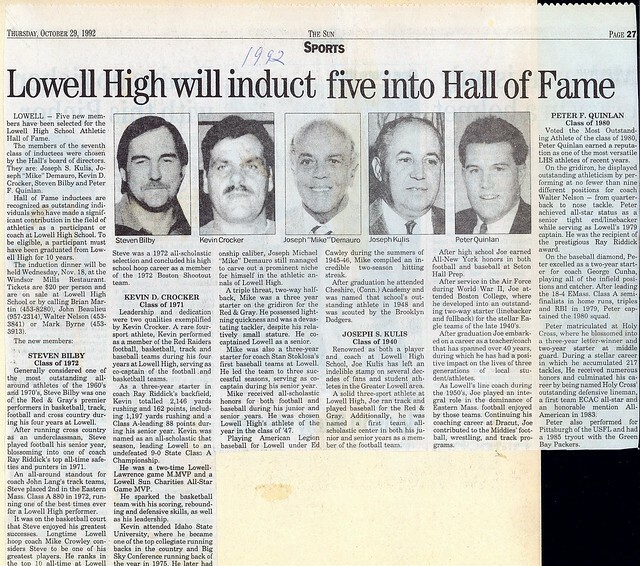 Despite performing on teams that were not of championship caliber, Joseph Michael “Mike” Demauro still managed to carve out a prominent niche for himself in the athletic annals of Lowell High School. A triple threat, two-way halfback, Mike was a three year starter on the gridiron for the Red and Gray. He possessed lightning quickness and was a devastating tackler, despite his relatively small stature. He Co-Captained Lowell as a senior. 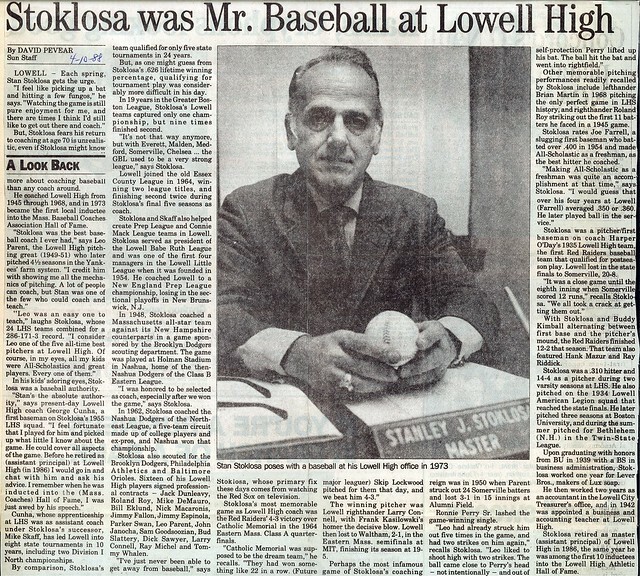 Eventually moving from left field to shortstop, Mike was also a three-year starter for Hall of Fame coach Stan Stoklosa’s first teams at Lowell High School. He led the team to three successful seasons, serving as Co-Captain during his senior year. 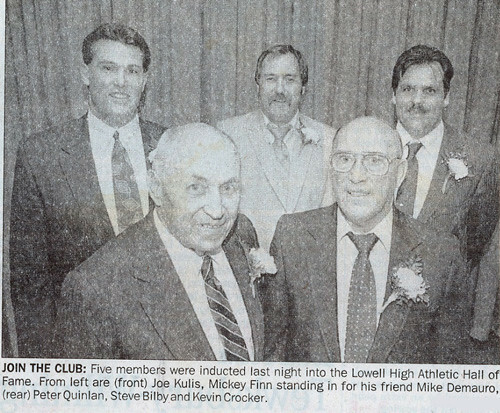 Mike received All-Scholastic honors for both football and baseball during his junior (1945–46) and senior (1946–47) years. 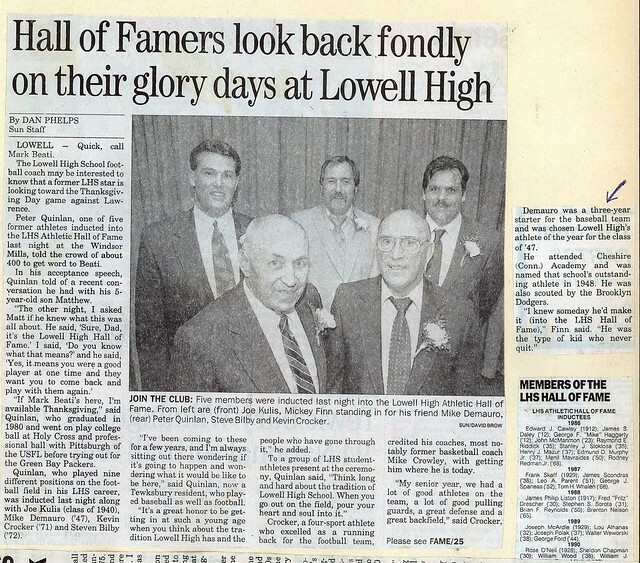 He was chosen Lowell High School’s Athlete of the Year in the Class of 1947. 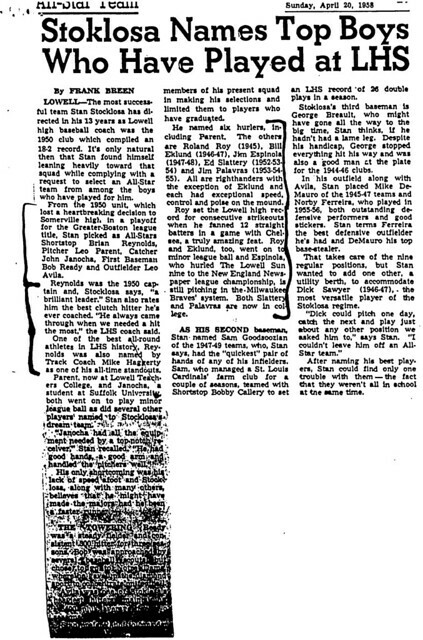 Playing American Legion baseball for Lowell under Hall of Famer Ed Cawley during the summers of 1945–46, Mike compiled an incredible two season hitting streak. After graduation, Mike attended Cheshire, (Conn.) Academy. 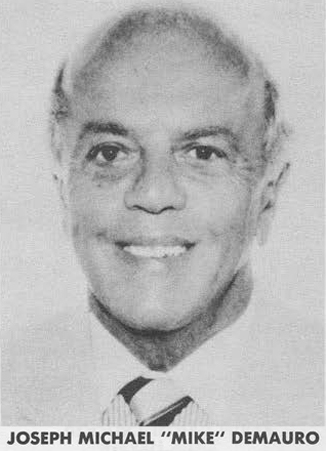 He was named the school’s Outstanding Athlete in the Class of 1948 and was scouted by the Brooklyn Dodgers. Mike eventually enjoyed a successful career in the construction business.